If your air conditioning system is more than 10 years old, you would be surprised to find out just how much more efficient the new systems are. Modern air conditioners can offer energy savings of up to 40%. The investment can be financially worthwhile, and can even pay back the cost several times over the life of the equipment. There are three different air conditioning solutions offered by Pharo Heating, all of which have their own advantages. There are two different air conditioning systems that we offer: (1) central air conditioners and (2) ductless mini-split air conditioners. 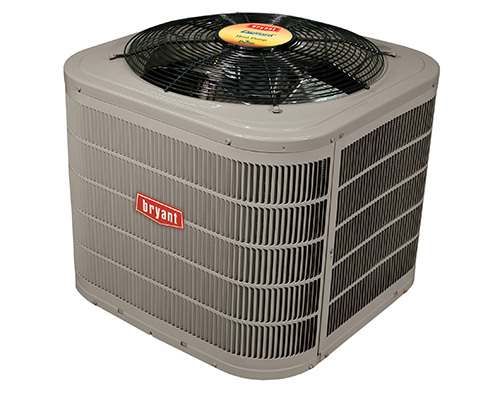 The central air conditioner systems circulate cool air through the same system of ducts that your furnace uses. The mini-split air conditioner systems are generally used in small commercial areas or retrofit add-ons to buildings with ductless heating systems, such as hydronic, radiant panels, and space heaters. Both of these systems have two main components: an outdoor compressor/condenser unit, and an indoor air-handling unit. For moderate heating and cooling needs, heat pumps are a great, energy-efficient alternative to using furnaces and air conditioners. Heat pumps move heat from the cool outside air into your house during the heating season, and moves heat from the inside to the outside during the cooling season. Overall, heat pumps are a great alternative to central forced air systems (furnace and air conditioners) because they are so energy efficient. Geothermal heat pumps (GHPs) uses the steady temperature of the earth, instead of the outside air, to exchange heat. Since this system uses heat produced by the earth, GHPs are highly efficient (anywhere from 300%-600%) on the coldest of winter nights, compared with 175%-250% for heat pumps that use the outside air. These systems are reliable through different temperature extremes because the ground keeps a fairly constant temperature throughout the year; making it cooler than the air in summer and warmer than the air in winter. GHPs uses this to their advantage and exchanges heat with the earth through a heat exchanger in the ground. Geothermal systems work great because they are very energy efficient and can work as both your heating and cooling. 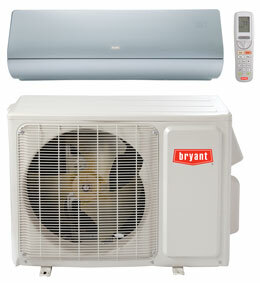 Ductless Systems are a flexible solution for your home’s heating or cooling needs. Perfect for room additions or anywhere ductwork is a challenge, they offer single and multi-zone styles that can be installed high on the wall, in the ceiling, or near the floor. Puron refrigerant is an environmentally sound, chlorine-free refrigerant developed to replace R-22. Puron is more environmentally responsible and at the same time is more efficient than R-22. Bryant was among the first manufacturers to use a non-ozone-depleting refrigerant and they are very proud of being part of such a great advancement. Pharo Heating & Cooling is a family owned and operated company that specializes in Residential and Light Commercial HVAC systems. We have been providing quality sales, service, and installation of heating and cooling systems to the Greater Madison Area, since 1983.